In 1847, Isaac Cappon, a young Dutch Immigrant, arrived in the newly founded Holland colony. Ten years after emigrating from Zeeland province, the Netherlands, in 1857, Cappon and business partner John Bertsch opened the Cappon and Bertsch Leather Company in Holland. By the 1880s, the Cappon and Bertsch Leather Company was the largest tannery operation in Michigan. Cappon was one of the city’s wealthiest residents. The successful businessman was also an active public servant. On March 25, 1867, the City of Holland was chartered, and Cappon was elected its first mayor. Since 1980, the Holland Historical Trust has actively worked to preserve the legacy of Isaac Cappon and his family at the Cappon House Museum, a series of curated displays within the Cappon family’s stately manor at 228 West Ninth Street. On January 13, 1830, Isaac Cappon was born in Retranchment, Zeeland, the Netherlands to Johannes Cappon and Magdalena Kallewaard Cappon. At age 17, in 1847, Cappon immigrated to Rochester, New York. In June 1848, his parents, Uncle Jacob, and Uncle Jannes joined Isaac Cappon in Rochester. His family arrived during a cholera epidemic, which claimed the lives of Isaac Cappon’s father and Uncle Jannes. Following the tragedy, Isaac Cappon relocated to the newly established Dutch Colony in Holland with his mother and Uncle Jacob. In 1849, Mr. Pfanstiehl, the owner of a Grand Rapids Tannery, employed Cappon. In 1857, 27 year-old Cappon and his colleague John Bertsh co-founded the Cappon and Bertsch Leather Company in Holland. At the time of the company’s establishment, the men owned an “unshingled wooden shed, 12 vats, and a white horse.” Through hard work and industry, the Cappon and Bertsch Leather Company prospered. The businessmen secured government contracts throughout the Civil War, which in 1863 necessitated the expansion of their enterprise. In October 1871, the Great Holland Fire destroyed the tannery. 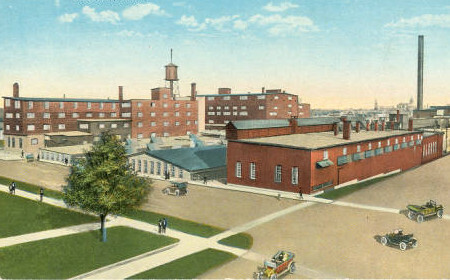 Cappon and Bertsch’s decision to rebuild the tannery, which was developing into one of Holland’s largest employers, assisted the city’s economic recovery. In 1875, a stock company was formed. 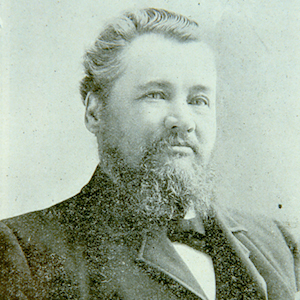 According to the author of Cappon’s obituary, the stock company “made it possible to enlarge the business, and to increase the annual production, and the growth … continued steadily until the Cappon and Bertsch Leather Company [was] the largest in the West.” At the time of his death in 1902, the company boasted an annual output over $1 billion. The plant, which was located at the present site of the Civic Center, covered 15 acres of land. Through his successful business venture, Cappon became a millionaire and one of Holland’s wealthiest residents. On March 25, 1867, Holland colony was incorporated as a city. Cappon was elected the city’s first mayor. He served four terms as mayor: 1867-1868, 1870-1871, 1874-1875, and 1879-1880. However, his public service career was not limited to the mayoral office. Cappon was also appointed to the Holland Harbor Commission, elected as the school board’s first president, and sat on the Semi-Centennial Celebration committee. Cappon’s eldest daughter married Rev. Peter DeBruyn. The couple’s family home was located on Tenth Street at the present site of Van Zoren Hall. Together, they raised Peter DeBruyn’s four children. Cornelia Cappon died at age two of an unknown cause. In 1891, Elizabeth, or “Lizzy,” Cappon traveled to Amoy, China to serve as a missionary on behalf of Third Reformed Church. She served as a missionary in China’s Fujian Province for fourteen years. Johannes “John J.” Cappon worked alongside his father, Isaac Cappon, at the Cappon and Bertsch Tannery Company. He married Miena Aling. The couple resided in a red brick home they constructed on Eleventh Street and Maple Avenue in Holland. “Jake” Cappon died in Holland at age 20 from typhoid pneumonia. Cornelia Cappon Brusse was the first of Isaac and Catarina Cappon’s daughters to attend Hope College and in 1887 was among the first females to graduate from the academic institution. She married clothing store proprietor William Brusse who served as Holland’s mayor from 1901 to 1902. The couple had three children. Jacomina “Minnie” Cappon married Rev. Henry Kremers. Henry Kremers served as Dean of Coe College in Rapid City, Iowa. Henry and Jacomina had three children. Sarah Cappon was the second of Isaac and Catarina Cappon’s daughters to attend Hope College. She passed away at age 24, before graduating. Isaac Cappon, Jr. was born with a disability. He died at age 40 at an undisclosed Michigan hospital. Catarina and Isaac Cappon’s youngest daughter, Sue, married Roger Houtkamp. The couple resided in Wauwatosa, Wisconsin and had two children. Abraham Cappon worked with his father and his oldest brother, John J, at the Cappon and Bertsch Tannery Company. Abraham Cappon married Nelly VerSchure. The couple lived at 156 W. Twelfth Street. 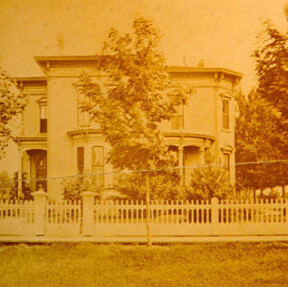 In 1874, Cappon and his family moved into their new home at 228 West Ninth Street. 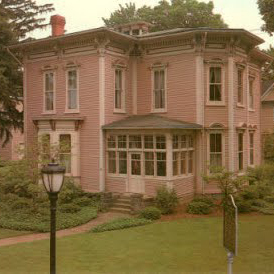 Architect John R. Kleyn, a self-taught architect, designed the Cappon House in an Italianate style. At the time of its construction, the Cappon House was the finest home in Holland. It was furnished with high-quality pieces produced by Grand Rapids furniture companies. The family home was equipped with servant’s quarters. In 1887, ten years after the birth of their youngest child, Catarina Cappon died of cancer. Following his wife’s death, Jacoba De Kok was hired as the family’s live-in housekeeper. Jacoba De Kok, like Isaac Cappon, emigrated from Zeeland Province, the Netherlands. On October 26, 1891, Isaac Cappon married Jacoba De Kok when she was 23, making her 38 years his junior. At the time of their wedding, Isaac Cappon’s children ranged in age from 36 to 14. Isaac and Jacoba Cappon’s controversial marriage negatively impacted the businessman’s standing in Holland’s religious community. Isaac was a charter member of Third Reformed Church where he served as a deacon and the first Sunday School Superintendent. 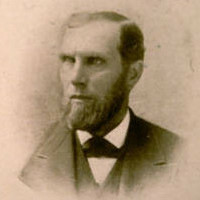 After his second marriage, members of the congregation requested that Cappon step down from the office of Sunday School Superintendent of Third Reformed Church. Isaac and Jacoba’s eldest daughter wed University of Michigan professor John F. Maulbetsch. John and Ida Maulbetsch had two children together. Johanna Lavinia Cappon attended Eastern Michigan College. After graduation, she returned to Holland to teach Home Economics at the city’s public high school. During her tenure at Holland High School, the Tulip Time Festival was in its infancy. Johanna Cappon assisted in authenticating the Dutch Dance costumes worn by the Klompen Dancers. Johanna Cappon assisted the City of Holland through the process of purchasing the Cappon House from the surviving Cappon relatives. Until her death in 1978, Johanna Cappon lived in her family home. Upon her death, the contents of the house were willed to the Holland Museum. Sarah Cappon, a trained nurse, married Paul McLean. Her husband was a faculty member at Hope College. The couple had one daughter. Christene Helna was the youngest daughter of Isaac and Jacoba Cappon. She worked as a teacher and librarian. Christene Cappon wed Marvin DeVries, a lawyer and writer. The couple had one son. Before her husband’s death, Christene lived with her sister Johanna Cappon at their family home. She remained in her family home after Marvin DeVries’s death. Franklin “Cappy” Cappon was two years old at the time of his father’s death in 1902. He attended the University of Michigan. Over the course of his collegiate career, Franklin Cappon became a football and basketball star. After graduation, he coached basketball at Princeton University. He also served as dean of Ivy League Coaches. Franklin Cappon married Henrietta Van Putten. They had two children. Franklin Cappon’s grandson had one daughter, thus ending the Cappon name through Isaac. On Friday, January 23, 1902, Holland’s first mayor died at the age of 72 and ten days. After the death of his first wife, Catarina Cappon, Isaac Cappon had developed a suspicion of doctors. His death was a result of his refusal to receive treatment for gallstones. On the day of his death, Holland’s Common Council resolved to request businesses to close during the funeral services. Flags on both public and private buildings were also lowered to half-mast. On Monday, January 26, 1902, the Cappon House was opened to the public from 9:00 A.M. to 1:00 P.M. to allow mourners to view the body of Isaac Cappon. A short memorial service was held in the home at 2:00 P.M. At 2:30 P.M. a public funeral service was held at Third Reformed Church. A horse-drawn hearse transported Cappon’s body from Third Reformed Church to Pilgrim Home Cemetery for internment. After Isaac Cappon’s death in 1902, ownership of the family home passed to his children. For over 100 years, from 1874 to 1978, the Cappon family owned and occupied the stately manner. Johanna Lavina Cappon, a home economics teacher at Holland High School, resided in the home with her sister Christene Helena Cappon DeVries throughout her adult life. Prior to her death in 1978, Johanna Cappon strived to preserve the historical integrity of the Cappon House and the legacy of her father. She negotiated the sale of the Cappon House, serving as a liaison between her surviving relatives and the City of Holland. In 1980, the ownership of the house was transferred from the remaining Cappon relatives to the city of Holland. Johanna Cappon had also willed the entire contents of the Cappon House, which included the largest collection of Grand Rapids furniture in its original setting, to the City of Holland. Following the transfer of ownership, in 1984, the Cappon House received a Michigan Historical Marker. City officials and members of the Holland Historic Trust, which oversees the operation of the Holland Museum, transformed the nineteenth century residence into a public museum. The former family home required substantial restorations, including reproducing custom Victorian-era wallpaper from fragments of the original wallpaper. The Holland Historical Trust continues to manage the ongoing restoration process which is funded through generous private donations and public funding campaigns. To date the restoration costs have surpassed $1.6 million. From May to October visitors can cross the threshold of the Cappon House and enter the nineteenth century. The public museum provides a historically accurate portrayal of life for various sects of the Holland community so that visitors can simultaneously experience the lifestyle of the rich community leaders and the poor men and women that served them. Albanese, Erin. “Cappon’s Granddaughter Makes ‘last Trip’ to Historic Home in Holland.” Grand Rapids Press, October 11, 2009. Chandler, Greg. “Cappon House Museum in Holland to Reopen with New Old-fashioned Wallpaper.” Grand Rapids Press, February 1, 2009. “Isaac Cappon.” Mayors of Holland, Michigan. “Isaac Cappon Obituary.” Holland Museum. January 24, 1902. “The Family of Isaac Cappon.” Holland Museum. September 1, 2011.